Companies are moving to the cloud in greater numbers than ever, targeting flexibility and access for their increasingly distributed workforces. According to a recent Forrester Research report, 58 percent of companies surveyed outsource half or more of their data center operations, servers, network, and storage infrastructure, clearly illustrating the shift businesses are making to cloud environments. Cloud migration of all critical resources, or even a portion for hybrid environments, presents serious security challenges and risks to the organization. The cloud is an attractive target to hackers, and is highly vulnerable to insider threat by negligence or malicious intent. Organizations need to implement rigorous cybersecurity practices to control access to critical systems and protect sensitive data, whether operating on-premise or in the cloud. 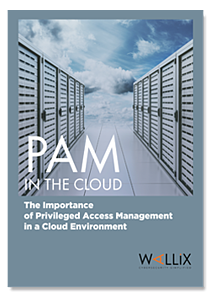 A Privileged Access Management (PAM) solution offers a secure, streamlined way to authorize andmonitor all privileged users for all relevant systems – both on-premises and in the cloud. It keepsyour organization safe from both accidental or deliberate misuse of privileged administrator accessto critical systems and resources.